THPBlog: Timber Products Company to log near Mt Shasta and the Mt Eddy Recreation Area. Timber Products Company to log near Mt Shasta and the Mt Eddy Recreation Area. This THP is about 6 miles NW of the town of Mt. Shasta and about 4.5 miles SW of Weed, CA at an elevation of 4,600 to 6,000 feet. 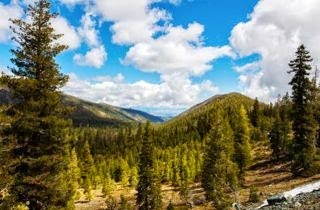 It is at the base of Mt Eddy, a very popular hiking and backpacking area with great views of Mt Shasta and the Shasta Valley, and also within 1,000 feet of the Hammond Ranch housing subdivision. Sections 31 & 32 are adjacent to the Mt Eddy Roadless Area. Timber Products Company is planning a tractor and cable logging operation with a significant amount of shelterwood over story removal in ponderosa pine, Jeffrey pine, Douglas fir, sugar pine, western white pine, incense cedar, white fir and red fir forests. Although not discussed within the text of the THP, maps show unstable areas within units 10, 11, 12, and 15 with a few unstable areas located near roads. Timber Products Company is planning to use ground based equipment in areas designated for cable logging. Four road drainage sites are planned for work including rocking, dip construction and road widening. Three goshawk nest sites were reported to be in section 31 within 340 feet of unit 2, and 300 feet of unit 5. There were 2 cascade frogs reported within .5 mi of the THP area, and an American marten was recently spotted in unit 9. Wolly balsam root was also reported to be growing in unit 10. More information is available on the THP Tracking Center website.